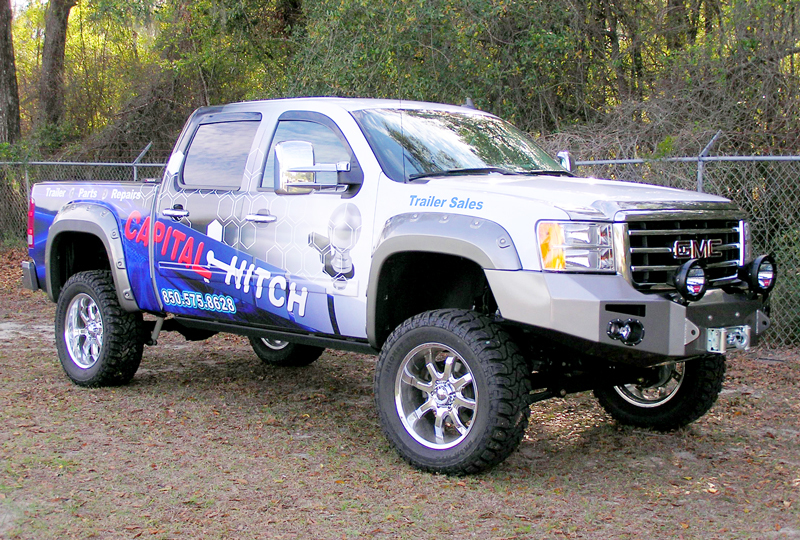 Capital Hitch Service, Inc., has been an established name in Leon county for more than 60 years. 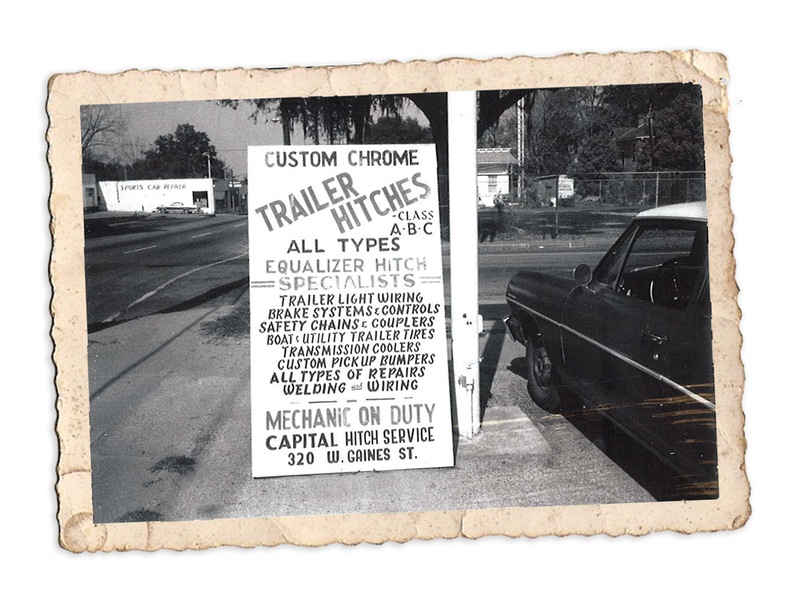 We began in 1958, in Tallahassee, Florida, with a goal to be the best in the industry. Originally located on Gaines Street, the company was moved to its present location at 7596 West Tennessee Street in 1985. Trailer hitches, trailer parts, repair, and sales, along with any products related to the towing industry have been the mainstream of our business. We have since added truck accessories as well as commercial van equipment, providing our clientele with a wide assortment of options for customizing their vehicles. Most jobs we do can be done while you wait, so we offer a customer waiting area with free WI-FI so you can relax or get some work done while we complete your installation. Come by at any time to see how we are different than our competition. Capital Hitch Service is a full-service shop of all type trailers including flatbed trailers, utility trailers, travel trailers, car haulers, cargo trailers, ATV trailers, livestock trailers, landscape trailers, horse trailers, boat trailers and all type trailers. Our company is designed to cater to all aspects you trailer needs and safety. Regular maintenance of your trailer is essential. Even the best trailers, without regular maintenance, will develop problems due to the stress of rough roads and owner neglect. Exposure to salt water and general wear and tear can leave your trailer in less than perfect condition. Capital Hitch Services Department are experts in every facet of trailer repairs – the frame, axles, bearings, couplers, tongue jacks, hubs, runners, rollers, winches, lights, brakes and tires – all of which should be regularly maintained. 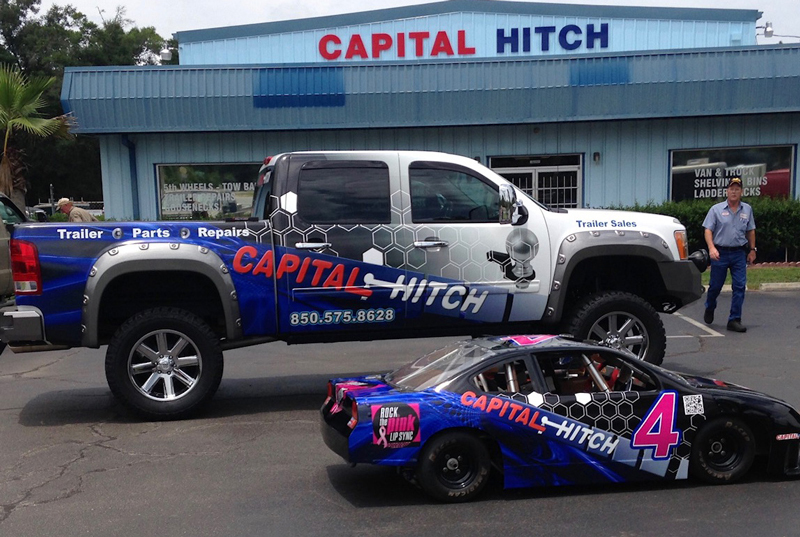 Capital Hitch Service Department has the staff that can help prevent potentially disastrous accidents. Give us a call today! We specialize in offering our customers the best in the industry. We only offer products from industry leaders and we stand behind everything we sell. From towing products to trailers, our talented sales team keeps up with the newest products and trends in the industry and will guide you through all your options as you customize your auto or trailer the right way, with the right product. At Capital Hitch, we know you need parts as quick as possible. We have developed relationships with parts manufacturers and suppliers to get the part you need faster than our competition. We can pull parts from over 18 warehouses across the United States to take care of your needs. Whether it’s towing products, contractor’s equipment, or off-road needs, we know how to get you there and we’re happy to answer any questions you may have. You can trust that your trailer repairs and truck accessories are installed professionally and exactly to manufacturer specifications. We also service all types of trailers, from utility and boat to heavy equipment trailers. Every vehicle is different, and Capital Hitch makes sure your installation is custom tailored to your specific vehicle. 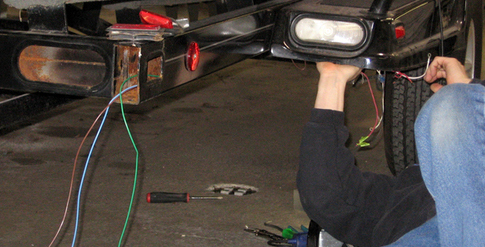 Our technicians are trained and experienced to ensure the job is done right… the first time. After installation, we ensure our customers are informed and comfortable with using and maintaining their accessories. Our goal is to consistently provide the best service, the best price, the best installations, and the best experience possible. Give us a chance to show you that we do it best in Tallahassee.